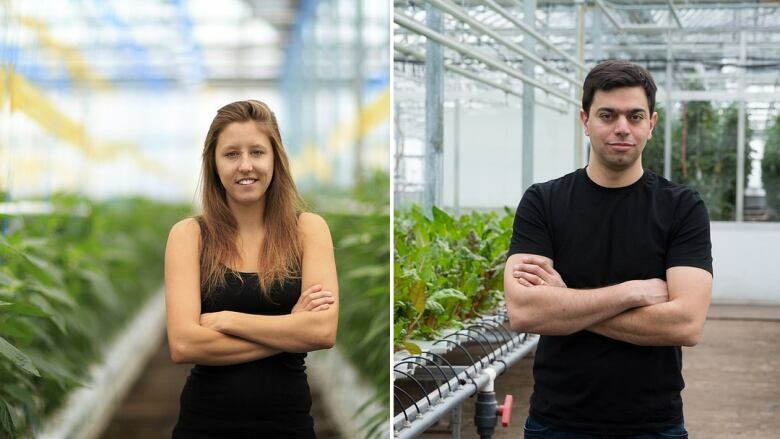 Mohamed Hage and Lauren Rathmell are greenhouse pioneers and agri-biz stars. Their company, Lufa Farms, specializes in growing vegetables on Montreal rooftops. For them, hydroponics, economy and ecology go hand-in-hand. Lufa Farms specializes in growing vegetables on Montreal rooftops. 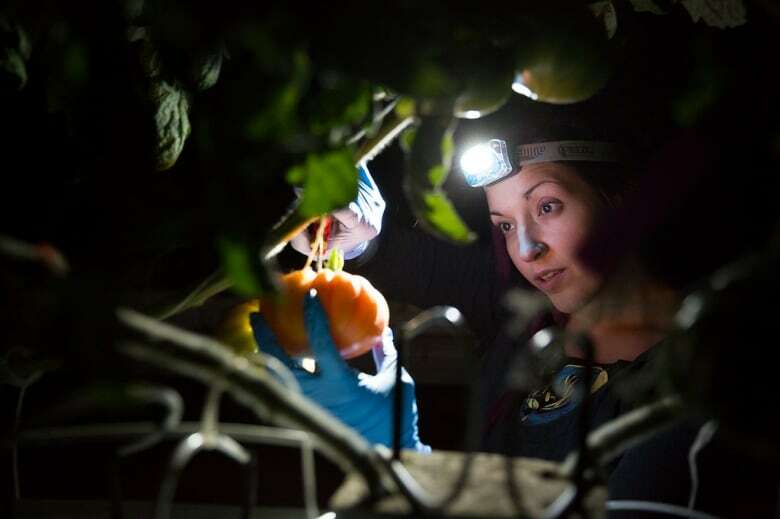 "One night we came up with the idea: what if we grow food using the latest and greatest technologies?" Hage recalls. "On rooftops — because those are really the only places you have available." 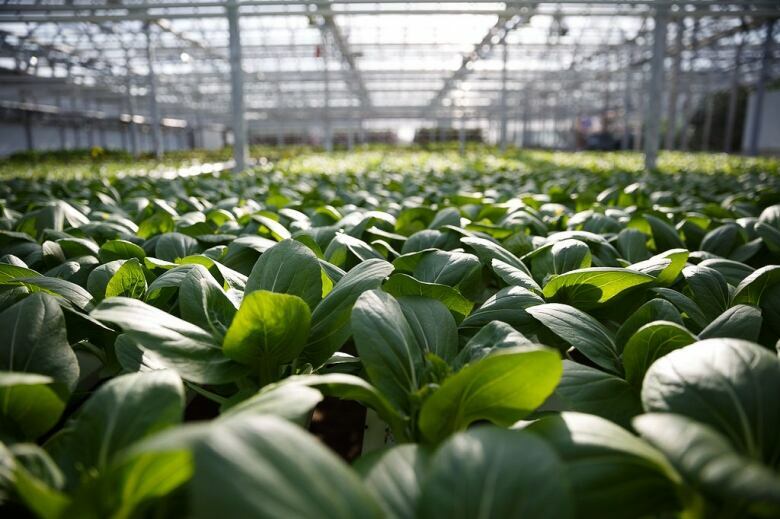 In the last 10 years their company, Lufa Farms, has expanded to open two more rooftop greenhouses. It's grown to employ 200 people, offering fresh, locally grown produce directly to thousands of people in Montreal and beyond. 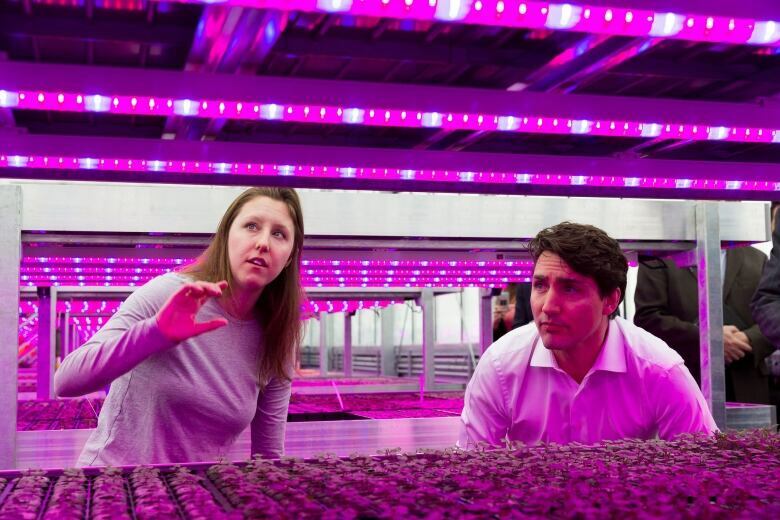 It has attracted a wide range of attention, from international investors to Prime Minister Justin Trudeau, who toured Lufa's newest, largest greenhouse in the Montreal suburb of Anjou. 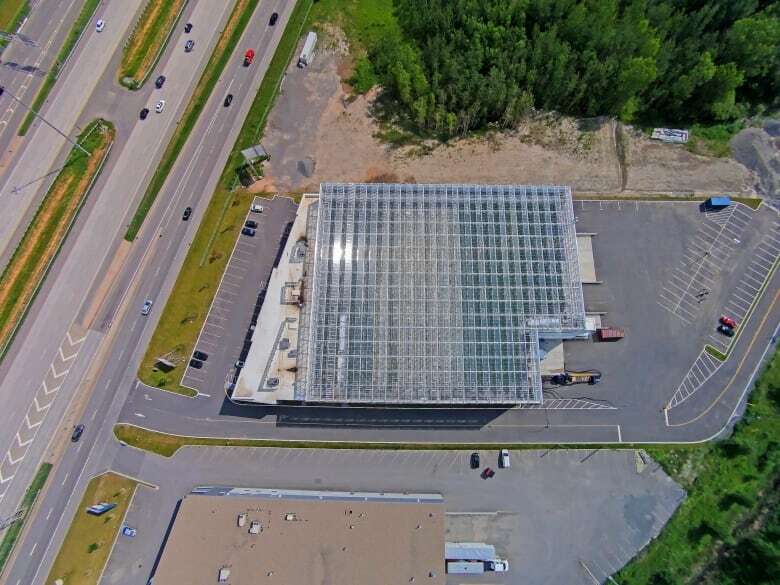 Canada imports tomatoes and lettuce grown in American and Mexican fields, but at the same time, it's a major exporter of greenhouse tomatoes and lettuce to the U.S.
Their newest greenhouse covers nearly 6,000 square metres atop a factory in Anjou. It's a high-tech wonder: a CFL football-sized field of perfect hydroponic heads of lettuce, moving on an automated grid, inch by inch, day by day, from seedling to maturity. 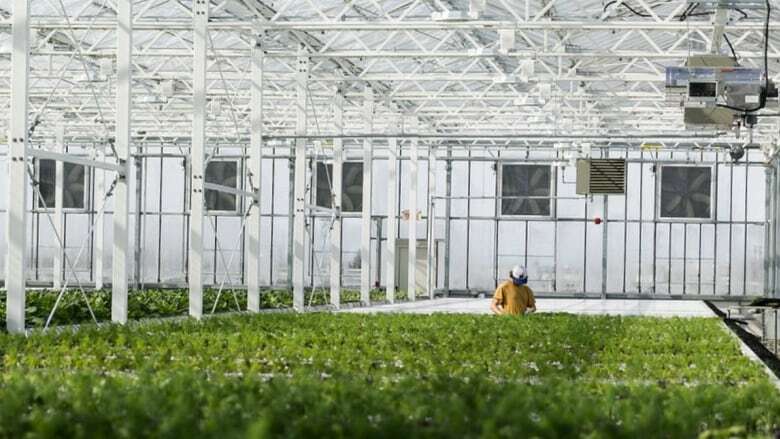 Most of the country's 900 commercial vegetable greenhouses are built in fields outside of urban centres, on agricultural farmland. Both Hage and Rathmell, partners in life as well as business, have farming in their blood, if you go back a couple generations. Rathmell's grandparents farmed in the U.S., while Hage grew up in Lebanon, where his grandparents also farmed. 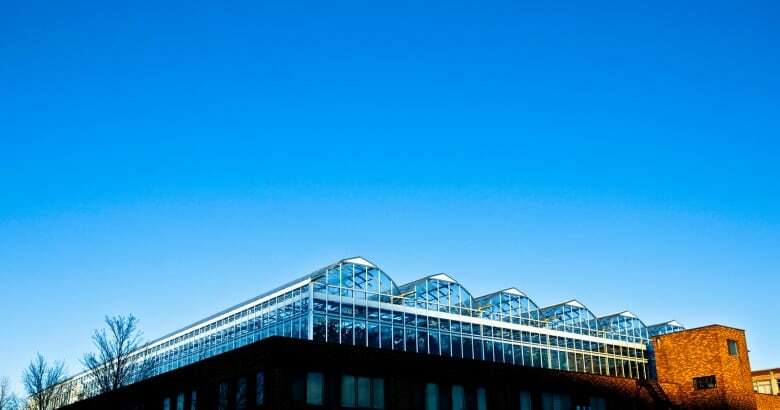 Rathmell took Hage to the Phytotron, a greenhouse complex on the roof of McGill University's Stewart Biological Sciences Building. "In 2009 and 2010, we were pretty much driving around, snapping photos of buildings — trying not to be caught by security," Hage says. They'd bring the photos back to engineers to assess whether the building was solid enough to withstand a whole new level of activity on its roof. "I remember this one meeting very early on," says Hage. "We had architects, engineers, lawyers, marketing people, communications people, finance people, agronomists. Then the architect goes, 'Guys, just look around the table. We are all here to grow tomatoes? How can this ever be profitable?'" One building owner Hage approached told him he did not want him near his roof because he didn't want anything to do with tractors and manure. "There are no tractors," Hage demurred, "and no manure." It was a win-win situation. With a new layer of insulation on the roof — the greenhouse — the building's heating costs plummeted, and the owner got rent money for what had been simply lost space. Today, Lufa Farms' 200 employees include people who pick the lettuce and cucumbers, along with agronomists and engineers and software geeks. There are trucks and electric cars for deliveries. Rathmell and Hage are self-described "data nerds" for whom apps are just as fundamental as nutrients, pest control and composting. "We are applying a very scientific and technological approach to growing food," Rathmell says. "You won't see any two-legged robots," says Hage, describing the new Anjou greenhouse. "But it is a fairly automated, quite efficient system: as the plants move towards the harvest, they are given a little bit more space. So you can produce more plants per square foot." Lufa's software team has also developed specialty apps — including one to track aphids. "We have these little hotspot maps to see — are the aphid populations increasing, [or] are they decreasing?" Rathmell says. That's where the mechanics of its distribution system are worked out. Lufa's customers can pick and choose what they want from that week's list of fresh vegetables. "We count, then we sell, then we harvest," says Hage. "A traditional farm would harvest, then count, then sell." 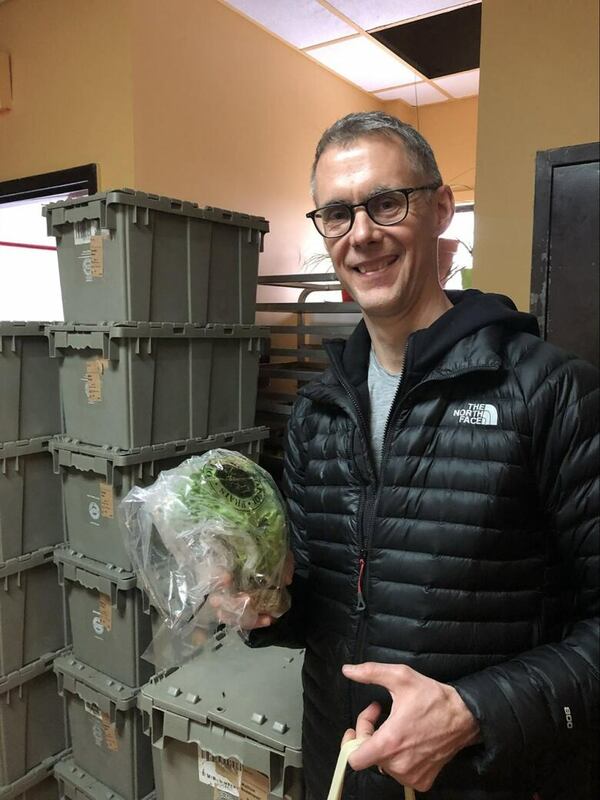 "A head of lettuce is $2.75, so it might be a little more expensive than what I am getting in the grocery story," says Nowakowski. "But if I compare it with what has been grown in Mexico and put in a truck and shipped for the last week and a half, just from the aspect of taste and freshness, there is absolutely no comparison." Rathmell has given lectures about Lufa Farms at Harvard University. Hage's TEDx Talk has been viewed more than 125,000 times. In the last two years, Lufa's sales have doubled. "We have proven that the model is financially viable and is growing at a healthy rate," says Hage. The newest greenhouse cost $5 million to build, "but running it and operating it is cheaper than a traditional farm," he says. "We really don't see any conflict between economy and ecology, as long as you are willing to be open to new ideas. "Economy and ecology go hand and hand."